wOur khaleegy dress is hand made embroidered with sequins and pearls in Egypt , it's available in one size that fits , this dress is used for Gulf style dance and very good use as a cover-up. 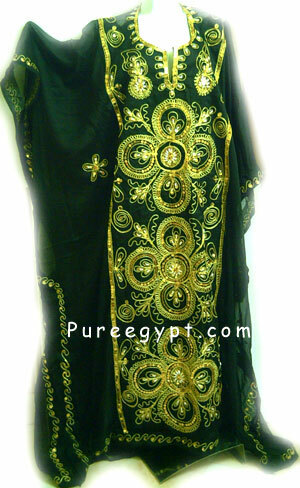 it's not Egyptian dance style but we supply it from Egypt also. available colors : black, purple, fuchsia, orange, red, white, blue, baby pink, green and maroon.